As one of the best schools in the country we are always looking for talented graduates (recent and career changers), NQTs and experienced teachers to join our staff. Our friendly and welcoming staff enjoy teaching highly able, motivated and well-behaved young men. Wilson’s School is committed to safeguarding and promoting the welfare of children and young people and expects all staff and volunteers to share this commitment. The recruitment procedures include an enhanced DBS check, overseas police checks (where relevant), proof of qualifications and employment history references. The appointee’s responsibility for promoting and safeguarding the welfare of children and young persons for whom s/he comes into contact will be to adhere to and ensure compliance with the School’s Safeguarding and Child Protection Policy at all times. Whilst the closing date is Friday 29 March, 2019, we may interview prior to this and therefore actively encourage early applications. Further details and an application form can be downloaded here. We are always delighted to talk about the school and so do please contact Hazel Ware, the Head’s PA hw@wilsonsschool.sutton.sch.uk or phone 0208 773 2931 if you would prefer to do so. The school is committed to safeguarding and promoting the welfare of children and young people and expects all staff to share this commitment. Appointment is subject to enhanced child protection screening including checks with past employers and the Disclosure and Barring Service. Whilst the closing date is Thursday 2 May, 2019, we may interview prior to this and therefore actively encourage early applications. Further details and an application form can be downloaded here. We are always delighted to talk about the school and so do please contact Hazel Ware, the Head’s PA hw@wilsonsschool.sutton.sch.uk or phone 0208 7732931 if you would prefer to do so. be ‘a person of good standing in their community’ or work in (or be retired from) a recognised profession (see list below). If possible your referee should provide confirmation of their status such as writing on headed notepaper or from a professional email address. They must not be related to or involved with you, e.g. : related by birth or marriage or be in a relationship with or live at the same address as you. Thank you for your interest in coming to work at Wilson’s. We are looking for well qualified and inspiring teachers to join our outstanding School. We provide excellent professional development and leadership opportunities. The School encourages teachers to join our talent pool. This will allow us to contact them directly should a suitable vacancy become available. We would be delighted to speak further and indeed for you to visit us so that you can see how fulfilling teaching at Wilson’s can be. 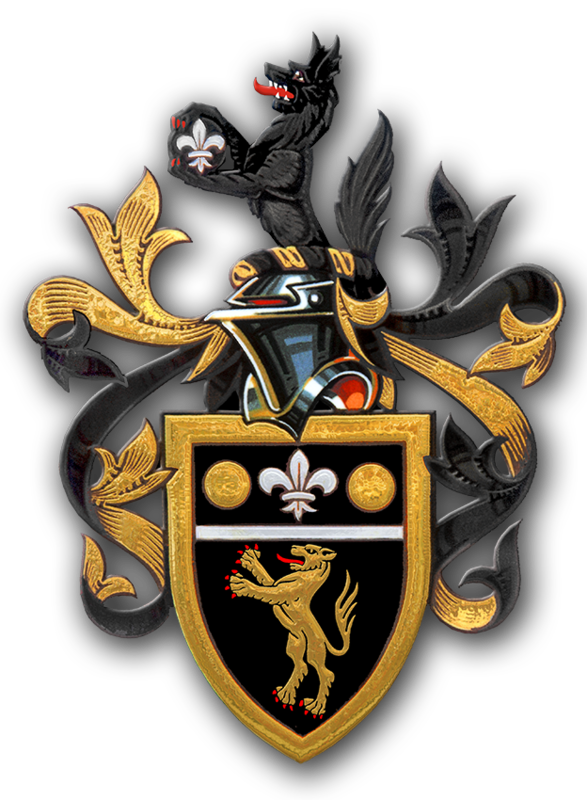 Founded in 1615 by Royal Charter, Wilson's School is a leading boys' grammar school in Wallington, South London. The Ofsted Outstanding school educates around 1,200 pupils, with entry by academic selection based on performance in an entrance examination alone. The school consistently sits at the top of league tables for both GCSE and A Level results and performs much more strongly than the vast majority of independent schools. Almost all go on to study degree courses in a full range of subjects at either Oxbridge or Russell Group universities. As many schools are forced to narrow their curriculum, we are proud to be maintaining a broad range of subjects in all Key Stages. The school also has a vibrant co-curricular life. Sport and music are of a very high standard, but there is a huge range of activity beyond the classroom from our CCF founded in 1910, to chess and a whole range of smaller societies. We are proud of the diversity of our student and staff body. Excellent mentoring and pedagogical development – including training graduates (recent and career changers) so that they have the opportunity to gain QTS without incurring the fees associated with a PGCE. A culture of rapid promotion for talented staff - we have an excellent record of developing outstanding teachers and preparing staff for Senior Leadership. We are always looking for talented graduates (recent and career changers) to join our staff. We have an excellent record of developing outstanding teachers via our teacher training programme. You will care about the future life chances of highly able students in the state sector and be passionate about teaching up to A* at GCSE and A Level and preparing students for entry to top universities (including Oxbridge and study abroad). You will be passionate about your subject with school and degree qualifications that reflect this. You will be keen to start teaching straight away and to earn a salary commensurate with that responsibility. You will be allocated a teaching and learning mentor and a subject mentor. A programme of professional studies will also be developed for you. They will be some of the very best teachers and committed to making you the very best teacher you can be. You will begin with a 50% timetable; this will develop over the course of the year up to 70%. In the second year your timetable will be 90%. How do I get QTS? By meeting the school’s ‘excellence criteria’ for teaching and learning you would have fulfilled the Teachers’ Standards. We will then support your application for QTS via the Department for Educations AO (Assessment Only) requirements. If you were interested in this option, we would be able to arrange an appropriate placement at a contrasting school and we would also pay for the registration and assessment fees. For 2019-20 we would welcome expressions of interest from potential teachers of any subject. Although we will remain open to applications throughout the year, interviews may be held at any time from the 21st November if we identify a need in a specific subject area. As a result we would strongly recommend that you apply early. Scheme opens for the following academic year (September 2019). Telephone conversations and email enquiries are very welcome. Visits to the school will be possible throughout the year. Letter of application outlining in no more than two sides of A4 your suitability for the post. Fully completed teaching post application form with two referees identified. Interview Day to include an outline of the programme, tour of the school, hands on teaching experience and an interview. Paid training for successful candidates prior to a September start (though this may be negotiable depending upon circumstances). We are always happy to receive enquiries even if this is outside of a deadline. communicate effectively with parents, staff and outside agencies about pupil progress and well-being. These criteria relate strongly to the national expectations expressed in the Teacher Standards. Securing consistently outstanding teaching at Wilson’s is an overriding priority and we strive to ensure that professional development for all staff is as stimulating as possible, creating as many opportunities for discussion and debate about teaching as we can. Our approach to professional development has evolved significantly over recent years so that we now take a highly personalised approach to match each teacher’s expertise and enthusiasm with suitable training. Evaluating the impact of professional development and pedagogical approaches is core to our approach and all staff are given an insight into high quality classroom research methodology. Almost all PPD takes place within the school day. We are always delighted to answer any questions about our approach to professional development. Our Teaching and Learning focus for this year is developing practical strategies in each subject area to boost independence and resilience in our students. Our starting point will be the Learning Challenge Model (Concept > Conflict > Construct > Consider), with colleagues integrating wider reading and classroom research of their own in order to discuss and debate a range of associated principles. Professional development of all new staff (regardless of experience) is coordinated throughout the first year by an experienced Teaching and Learning Mentor. One-to-one discussions about classroom practice are planned on a fortnightly basis in tandem with a programme of developmental observations. Maintaining a culture of Teaching and Learning development relies upon engendering a genuine interest in classroom practice. As well as our PPD programme requiring all staff to share their practice in some way and to engage in Action Research, we also encourage members of staff to share good practice by opening the doors to their classroom for those in other departments. Any member of staff taking on a middle leadership role will receive support, guidance and perhaps most importantly a sounding board for ideas. New Heads of Department are allocated an experienced mentor. We are proud that so many of our staff have gone on to become middle and senior leaders within the school and beyond. As well as sessions focusing on how to prepare for a middle leadership interview, we also offer a programme for aspiring senior leaders, entitled ‘Developing a Whole School Mindset’, involving a problem solving exercises that mirror the challenges faced by school leadership teams! The lesson has a combination of tasks and activities which are logically sequenced and directly relevant to the lesson's objectives. The lesson has a carefully planned combination of whole class teaching, structured collaboration and silent independent work. The links between activities are made explicit to the students. Explanations are delivered with clarity. Appropriate timings are applied, adjusted and where appropriate shared with the students. Expectations for student progress are high and the teacher is fully aware of their capabilities, prior learning and understanding. Subject expertise is used to facilitate high level thinking for all throughout; challenge is incremental and builds as the lesson progresses. Differentiation is carefully planned and skilfully executed allowing students of different abilities to progress at an appropriate rate. Avenues of support are available to students and they utilise these well. Students are prepared to take risks and make mistakes. Over reliance on the teacher is avoided. Clear, ambitious and measurable objectives are shared with the students at appropriate points in the lesson. Understanding is checked systematically and effectively throughout the lesson ('chaptered') in order to anticipate where intervention may be necessary to improve the quality of learning. Higher order hands down strategies are used in order to check understanding, diagnose misconceptions and hence enable progress. The lesson has a conclusion which reviews progress in an engaging and illuminating way. Students are engaged from the very start of the lesson. Students demonstrate excellent concentration and resilience when working independently and collaboratively. All students engage in whole class teaching episodes; there is a sense of collective endeavour. Enthusiasm for learning, from both teacher and students, is obvious. Extremely high standards are expected and achieved. Instances of low level mis-behaviour are dealt with promptly and effectively. A positive learning environment is created whereby students feel valued and respected and in turn they value and respect one another. Praise is carefully targeted and effective.